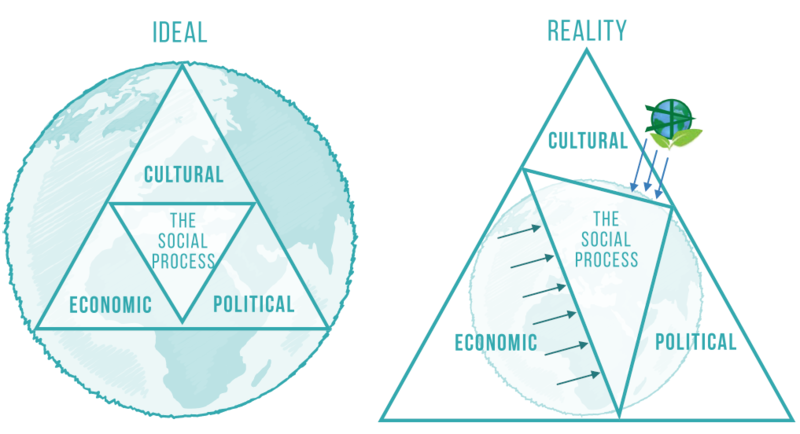 The mission of the Institute of Cultural Affairs (ICA) is to build a just and equitable society in harmony with planet Earth through empowering cultural dimensions of the social process. ICA programs strengthen the capacities of individuals, organizations, and communities to build and implement innovative plans of action that draw upon assets and social capital in a collaborative manner. This mission statement is clear, answers the question “why,” and can be used in a mantra-like manner — one of its major strengths is that it is memorable and easy to cite — but it doesn’t distinguish ICA from others that share a similar aim. Addendum secondary phrases can be helpful in accomplishing this. The phrase highlights the importance ICA has given to the transformative role of culture within society. As is often said, this is the reason for our name, the “Institute of Cultural Affairs.” Few statements about mission and purpose are as compelling as the one declared by Teilhard de Chardin: “The task before us now, if we would not perish, is to shake off our ancient prejudices, and to build the Earth.” This is a foundational perspective upon which ICA’s mission resides. While “ancient prejudices” certainly influence and drive economic and political relationships today, shedding them is a matter of culture. ​ICA uses an asset-based approach to community development that depends on facilitating people and communities to come together to achieve positive change using their own knowledge, skills and lived experience of the issues they encounter in their own lives. 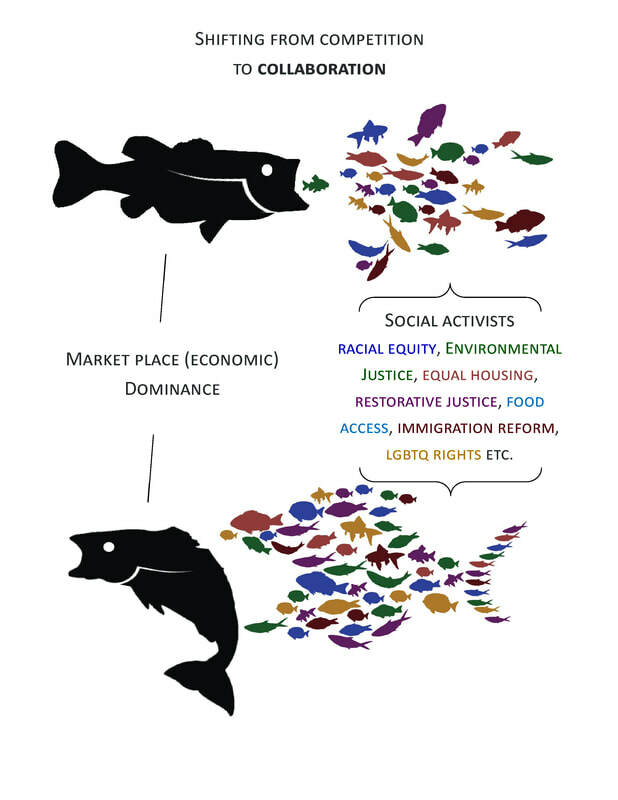 An approach that is bottom-up, inclusive, and comprehensive builds upon the existing social capital within a community and relies on participatory engagement. ​In an ideal world the cultural, economic, and political systems are all equally valued and working within the understanding that the earth is a finite resource. In reality, societal behavior and decisions are primarily made with the economic perspective being overvalued at the detriment of cultural and political systems. Our current society is also treating the earth as an infinite resource, overtasking our environment in an unsustainable way. ICA is intentionally named the Institute of Cultural Affairs because of the organization’s rooted belief that real change must originate from the cultural dimension in order to put the systems into balance. At their foundation, ICA programs attempt to create a shift in people’s mindsets, values, and behaviors. 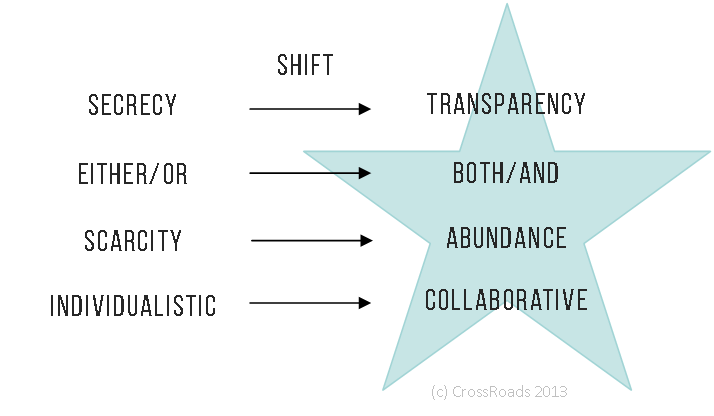 ​The four main value shifts ICA seeks to create in the individuals, organizations, and communities are illustrated to the right. ICA believes systemic change is not possible if organizations and individuals are not able to work together collaboratively. ICA believes that our current social construct breeds competition through deeply scripted scarcity mentality. ​ICA programs aim to break down this mentality in order to move from a competitive system towards a system of collaboration. ICA has historically focused on the prevailing social issue of the time. ICA’s sustainability mission uses the holistic definition that includes economic, environmental, and social systems. 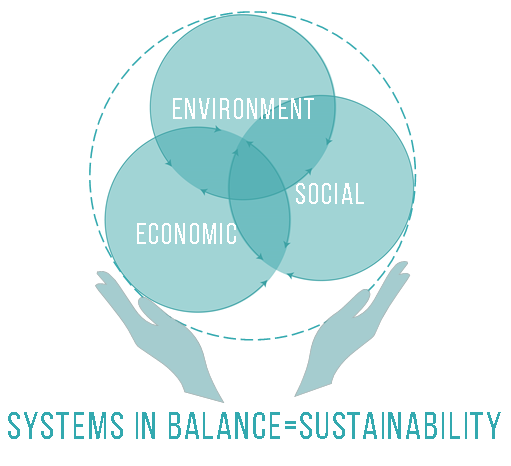 When these systems are in balanced true sustainability is achieved. In order to maximize impact and longevity, ICA programs focus on the issues at the intersection of these systems. A sustainable community is inclusive and just with civically engaged residents working together to address social disparities and promote environmental health, human well-being, and community vitality for present and future generations.